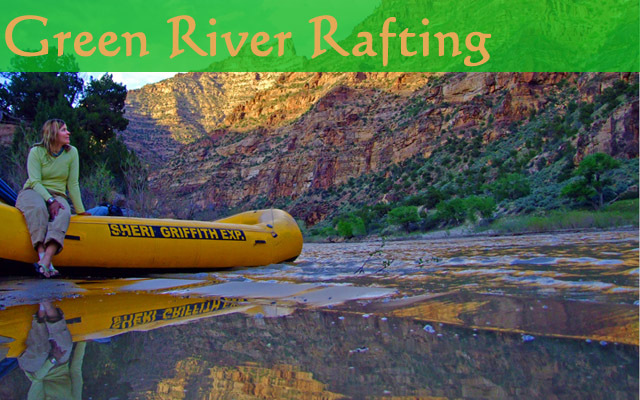 The Green River offers the perfect family river trip and has something fun for all family members. 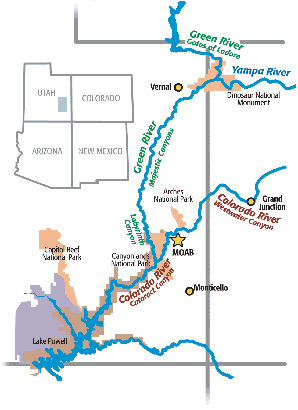 The river runs hundreds of miles from the Wind River Mountains in Wyoming to it's confluence with the Colorado River in Canyonlands National Park. 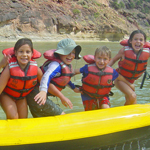 River rafting offers quality time and experiences for strengthening family relationships. There is adventure time, quiet time, interaction and reflection time, and lots of time to play. This trip through Desolation Canyon on the Green River offers a chance for the whole family to escape. 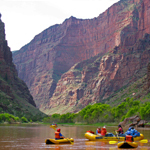 This trip offers exceptional bonding opportunities, fun whitewater, charming camp sites on sandy beaches, stunning geological features, ancient and recent western history, and it all begins with a scenic flight to the launch site! 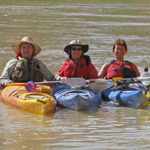 This Green River trips has all the elements of a classic whitewater river trip: great hikes, exciting whitewater, beautiful beaches and colorful history. 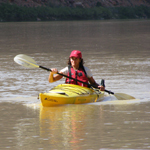 This trip is a 60-mile stretch of river without any rapids and is perfect for leisure kayaking. There’s time to explore the canyons and ponder the ancient American writings and trappers' inscriptions on the canyon walls. This trip, through Desolation Canyon on the Green River, is breathtakingly beautiful, the rapids are fun and splashy, and the hikes soulstirring. And it's your holiday. 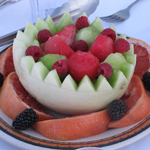 The guides, the chef and camp attendants will do all the work while you do all the vacationing.